SEAL TEAM 6 ? WHISTLE BLOWER DEAD – WHAT ? Whistleblower ‘Colonel Sixx’ (Derek Fagan-McHenry), who is now ‘DEAD’ had some interesting insider information to share about the Chinook helicopter crash in Afghanistan. 30 men were said to have been killed. 22 said to be Navy SEALS, commandos from SEAL Team Six . He also has info about the Alleged Osama Bin Laden Assassination ordered by USA President Barack Husein Obama. AKA Barry Soetoro. This is reportedly the largest one day loss of troops in the 10 year war in Afghanistan and it just happens to be Seal Team 6. So, now we are to buy that the men who took out OBL died in a helicopter crash, months after pulling off the raid. Our inside sources told us months ago that all the Seals on the helicopter that crashed in the so called OBL raid died, yet the Obama admin says none were killed. Witnesses on the ground in Pakistan told national News outlets that the Seals went in to the compound, then came out, got in a stealth craft and it exploded. The video with the witnesses is posted on Infowars.com in our news report titled “Seal Team 6 Deaths Exposed”. Now the globalists may have killed off the rest of the Seal team that made it out, in the other stealth helicopter crash from the OBL raid, to tie up loose ends. Bottom line – the official bin Laden raid story is a proven fraud so it is no wonder that this story does not add up. · Stories about children and their views of the world are always touching. 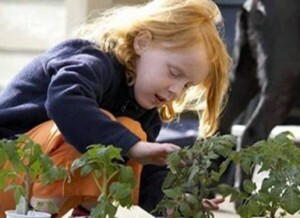 · A father watched his young daughter playing in the garden. · He smiled as he reflected on how sweet and pure his little girl was. · Tears formed in his eyes as he thought about her seeing the wonders of nature through such innocent eyes. · Suddenly she just stopped and stared at the ground. · He went over to her to see what work of God had captured her attention. · He noticed she was looking at two spiders mating. · ‘Daddy, what are those two spiders doing?’ she asked. · ‘They’re mating,’ her father replied. · ‘What do you call the spider on top?’ she asked. · a Daddy Longlegs,’ her father answered. 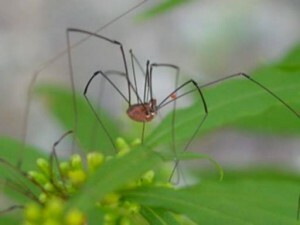 · ‘So, the other one is a Mommy Longlegs?’ the little girl asked. Isn’t just how you like it, think about how things used to be. When reopening these coffins, 1 out of 25 coffins were found to have scratch marks on the inside and they realized they had ben burying people alive. We Texans love y’all, but we’ll probably have to take action if Barack Obama wins the election. We’ll miss you too. 1: Barack Hussein Obama is President of the United States, and Texas secedes from the Union in summer of 2013. 2: George W. Bush will become the President of the Republic of Texas . You might not think that he talks too pretty, but we haven’t had another terrorist attack, and the economy was fine until the effects of the Democrats lowering the qualifications for home loans came to roost. 3. Defense Industry – we have over 65% of it. The term “Don’t mess with Texas,” will take on a whole new meaning. 4. Oil – we can supply all the oil that the Republic of Texas will need for the next 300 years. What will the other states do? Gee, we don’t know. Why not ask Obama? 5. Natural Gas – again we have all we need, and it’s too bad about those Northern States. John Kerry and Al Gore will have to figure out a way to keep them warm…. 6. Computer Industry – we lead the nation in producing computer chips and communications equipment – small companies like Texas Instruments, Dell Computer, EDS, Raytheon, National Semiconductor, Motorola, Intel, AMD, Atmel, Applied Materials, Ball Microconductor, Dallas Semiconductor, Nortel, Alcatel, etc, etc. The list goes on and on. 7. Medical Care – We have the research centers for cancer research, the best burn centers and the top trauma units in the world, as well as other large health centers. The Houston Medical Center alone employs over 65,000 people. 8. We have enough colleges to keep us getting smarter: University of Texas, Texas A&M, Texas Tech, Texas Christian, Rice, SMU, University of Dallas, University of Houston, Baylor, UNT (University of North Texas), Texas Women’s University, etc. Ivy grows better in the South anyway. 9. We have an intelligent and energetic work force, and it isn’t restricted by a bunch of unions. Here in Texas, it’s a “Right to Work” State and therefore, it’s every man and women for themselves. We just go out and get the job done. And if we don’t like the way one company operates, we get a job somewhere else. 11. In case of a foreign invasion, we have the Texas National Guard, the Texas Air National Guard, and several military bases. We don’t have an Army, but since everybody down here has at least six rifles and a pile of ammo, we can raise an Army in 24 hours if we need one. If the situation really gets bad, we can always call the Department of Public Safety and ask them to send over the Texas Rangers. 12. We are totally self-sufficient in beef, poultry, hogs, and several types of grain, fruit and vegetables, and let’s not forget seafood from the Gulf. Also, everybody down here knows how to cook them so that they taste good. Don’t need any food. 13. Three of the ten largest cities in the United States, and twenty-three of the 100 largest cities in the United States are located in Texas. And Texas also has more land than California, New York, New Jersey, Connecticut, Delaware, Hawaii, Massachusetts, Maryland, Rhode Island and Vermont combined. 15. We also manufacture cars down here, but we don’t need to. You see, nothing rusts, so our vehicles stay beautiful and run well for decades. This just names a few of the items that will keep the Republic of Texas in good shape. There isn’t a thing out there that we need and don’t have. Now to the rest of the United States under President Obama: Since you won’t have the refineries to get gas for your cars, only President Obama will be able to drive around in his big 5 mpg SUV. The rest of the United States will have to walk or ride bikes. You won’t have any TV as the Space Center in Houston will cut off satellite communications. You won’t have any natural gas to heat your homes, but since Mr. Obama has predicted global warming, you will not need the gas as long as you survive the 2000 years it will take to get enough heat from Global Warming. A DC airport ticket agency offers some examples of ‘why’ our country is in trouble! After putting him on hold for a minute, while I looked into it, (I was dying laughing), I came back and explained the city code for Fresno, CA. is (FAT – Fresno Air Terminal), and the airline was just putting a destination tag on his luggage. 11. Mary Landrieu LA. Senator called and had a question about the documents she needed in order to fly to China. After a lengthy discussion about passports, I reminded her that she needed a visa. THEY WALK AMONG US, ARE IN POLITICS, CONTINUE TO BREED and THEY CAN VOTE. Back in March, Bill O’Reilly proclaimed that the Supreme Court would not uphold the individual mandate in President Obama‘s Affordable Care Act. If proven wrong, he said he would “apologize for being an idiot.” On Monday night, he did just that, conceding that he failed to take into account Chief Justice John Roberts‘ taxation argument. The reality is Fox many times tries to “seed” the viewers with a direction. Over and over again they convince the viewers, we’ve beat up Obama and health care is stopped, it is only Nancy Pelosi who puts her faith in the Dalai Lama and the sand mandola occult cerimoney being performed right on Capitol Hill, and guess what, Nancy is attributed for pulling that off single handed… well she actually had a little help from those dark friends that were evoked during the tibetan ritual. Anyone else tired of listening to Fox trying to stir it up once again but not willing to deal with the root of the problem? Perhaps it’s time to stop putting all your faith in Fox as if they alone can save you?